Founded in 2007, investment company Rocket Internet invests in e-commerce starts-ups and gives them comprehensive service and support functions as well as office space with state-of-the-art infrastructure. 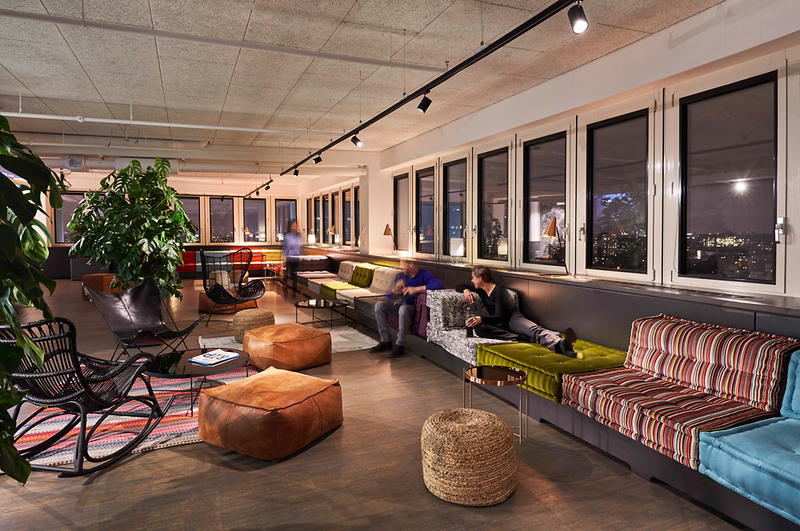 With gross floor space of 22,000 sq m and over 2,000 workspaces, the new start-up campus and headquarters in the Rocket Tower near to Kochstrasse in Berlin is something of its own cosmos. Its central location means it has superb transportation links. The complex, which served as the headquarters of GSW (Gemeinnützige Siedlungs- und Wohnungsbaugesellschaft) until 2016, includes a 17-storey office high-rise completed in 1961, which was redeveloped by Sauerbruch Hutton Architects in the 1990s and given striking extensions. As a landmark visible from quite a distance, a 22-storey wafer-like building with a slightly curved glass facade and components in red and pink to shield off the sun now hovers over a long curved low-rise building. 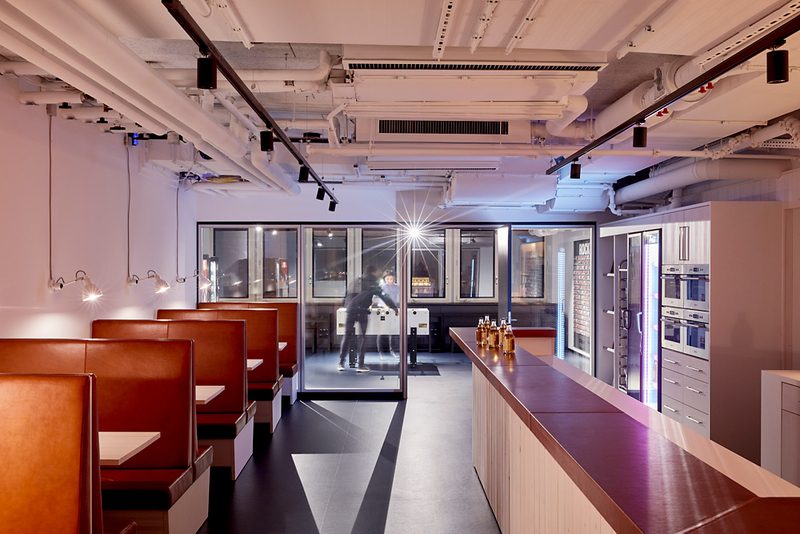 De Winder Architekten redesigned the interiors of both buildings for Rocket Internet. The planners replaced the classic cell-like structure, some of which had been added at a later date, with open-plan layouts. In the process they created areas for different working process such as places to retreat to for anyone requiring more peace and quiet to lounge islands for lively interaction. In addition to informal meeting spaces, there is a separate boardroom on each storey. Large meetings can take please in the auditorium on the office high-rise’s 13th storey, or less formal ones in the lounge on the 16th storey of the wafer-like high-rise. The Rocket Tower Conference Center on the 1st storey with a hall for up to 200 people is ideal for events and large conferences. 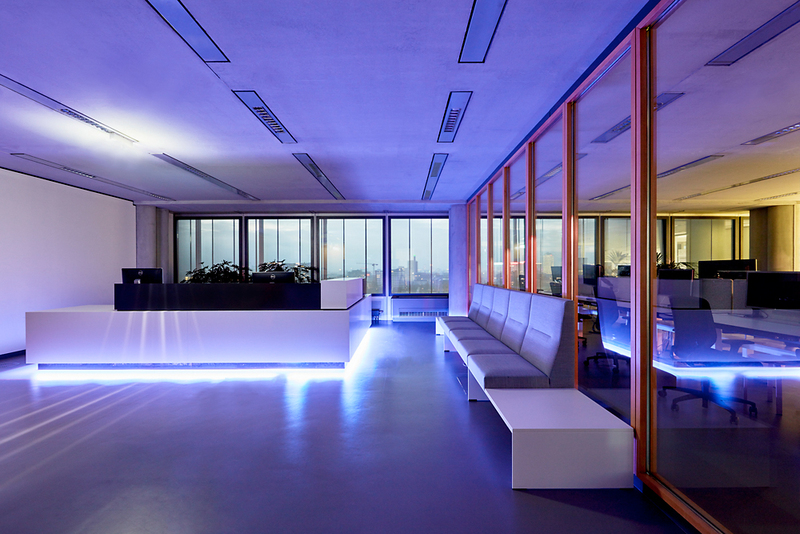 The goal of de Winder Architekten was to reorganise the interiors without detracting from Sauerbruch Hutton’s style. They chose understated colours and materials with the occasional colour contrasts here and there to enhance the interiors of the high-rises. 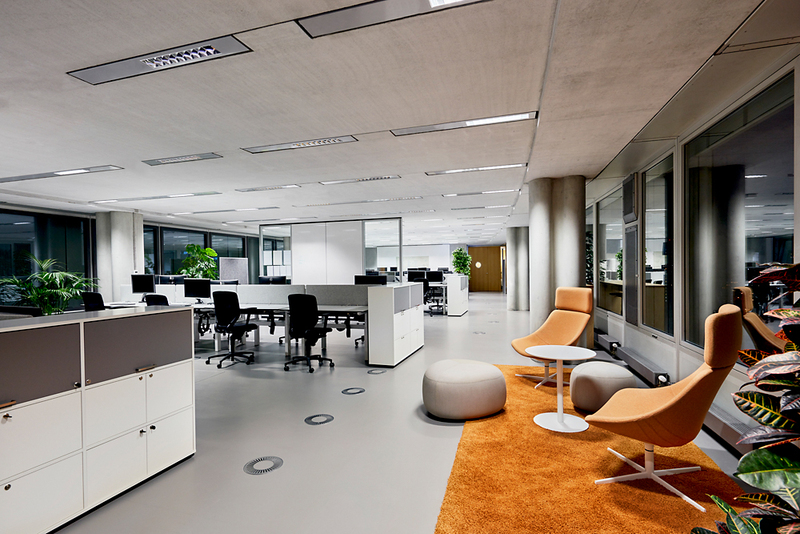 Light grey rubber flooring and exposed concrete ceilings emphasise the generous size of the spaces and focus attention on the surrounding urban landscape. With its athletic and dynamic design, the IN office chair creates a coherent and visible link with the interior design concept, which is all about movement and communication. Thanks to its patented 3D Trimension® kinematics, the chair also delivers superior seated comfort to up-and-coming young entrepreneurs as they look out over Berlin.